“Our people are survivors,” Calliope’s great-grandmother once told her of their Puebloan roots—could Bisabuela’s ancient myths be true? Anthropologist Calliope Santiago awakens to find herself in a strange and sinister wasteland, a shadow of the New Mexico she knew. Empty vehicles litter the road. Everyone has disappeared—or almost everyone. Calliope, heavy-bellied with the twins she carries inside her, must make her way across this dangerous landscape with a group of fellow survivors, confronting violent inhabitants, in search of answers. Long-dead volcanoes erupt, the ground rattles and splits, and monsters come to ominous life. The impossible suddenly real, Calliope will be forced to reconcile the geological record with the heritage she once denied if she wants to survive and deliver her unborn babies into this uncertain new world. 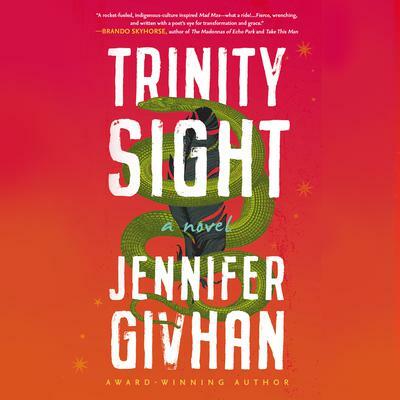 Rooted in indigenous oral-history traditions and contemporary apocalypse fiction, Trinity Sight asks readers to consider science versus faith and personal identity versus ancestral connection. 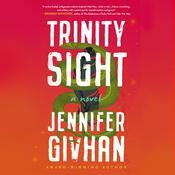 Lyrically written and utterly original, Trinity Sight brings readers to the precipice of the end-of-times and the hope for redemption. “Our people are survivors,” Calliope’s great-grandmother once told her of their Puebloan roots—could Bisabuela’s ancient myths be true? Anthropologist Calliope Santiago awakens to find herself in a strange and sinister wasteland, a shadow of the New Mexico she knew. Empty vehicles litter the road. Everyone has disappeared—or almost everyone. Calliope, heavy-bellied with the twins she carries inside her, must make her way across this dangerous landscape with a group of fellow survivors, confronting violent inhabitants, in search of answers. Long-dead volcanoes erupt, the ground rattles and splits, and monsters come to ominous life. The impossible suddenly real, Calliope will be forced to reconcile the geological record with the heritage she once denied if she wants to survive and deliver her unborn babies into this uncertain new world. Jennifer Givhan, a National Endowment for the Arts and PEN/Rosenthal Emerging Voices fellow, is a Mexican American writer and activist from the Southwestern desert. She is the author of four full-length poetry collections: Landscape with Headless Mama (2015 Pleiades Editors’ Prize), Protection Spell (2016 Miller Williams Poetry Prize Series edited by Billy Collins), Girl with Death Mask (2017 Blue Light Books Prize chosen by Ross Gay), and Rosa’s Einstein (Camino Del Sol Poetry Series, 2019). Her honors include the Frost Place Latinx Scholarship, a National Latinx Writers’ Conference Scholarship, the Lascaux Review Poetry Prize, Phoebe Journal’s Greg Grummer Poetry Prize chosen by Monica Youn, the Pinch Poetry Prize chosen by Ada Limón, and ten Pushcart nominations. Her work has appeared in Best of the Net, Best New Poets, Poetry Daily, Verse Daily, Ploughshares, Poetry, TriQuarterly, Boston Review, AGNI, Crazyhorse, Witness, Southern Humanities Review, Missouri Review, and the Kenyon Review. 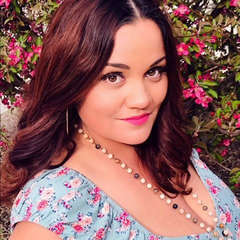 Givhan holds a master’s degree in English from California State University Fullerton and an MFA from Warren Wilson College, and she can be found discussing feminist motherhood at JenniferGivhan.com as well as on Facebook and Twitter @JennGivhan.